Athletes are permitted to double up between divisions one and three but may not double up to or from division two. If an event has fewer than three entrants, we will attempt to create an appropriate category for your crew. 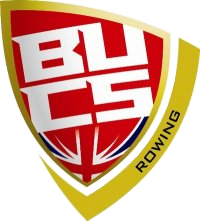 For example, 2 BUCS Intermediate 8s and a BR IM3 8 might be merged into one event. Entries are now open and will close at 3pm Saturday 25 January 2019. All entries must have been paid for by the entry deadline or they will not be accepted. As we are sure entrants will understand, HOTS has been a great event in its first few years, but it is run by a very small club that cannot afford the cost of the event should it have to be cancelled. We will refund every single penny that we can should the event be cancelled again and will keep nothing. We are asking for entry money upfront to help with this and make sure that the event remains viable. However, now that Gloucester are able to host us in the event of flooding, the likelihood of cancelling has been significantly reduced!